Please note that we are unable to supply certain products unless they are installed by Norman Hobbs. With SoundTouch, we have put a lot of thought into taking the thinking out. You can listen whichever way you want, without worrying about which technology is best. This speaker lets you play music directly from a phone or tablet using Bluetooth, or connect the speaker to your Wi-Fi network for instant in-home listening, without the need for your phone. Experience your favourite music from your SoundTouch speaker with the SoundTouch app. SoundTouch lets you take total control of your listening experience, right from your smartphone or tablet. Browse popular music services like Spotify and Deezer, Internet radio through TuneIn, or your stored music library. Easily personalise presets for one-touch access to the music you love and control one or many SoundTouch speakers around your home. Can a single speaker reproduce music with the power and emotion you want from your favourite songs Ours can. The SoundTouch 30 speaker uses a proprietary waveguide and high-performance drivers to fill your biggest rooms with deep, rich, true-to-life sound. Only SoundTouch lets you save your favourite music with six preset buttons for instant listening, so you don?t have to waste time searching for your favourites. Assign a preset for your best Spotify party playlist, another for the Internet radio station you recently discovered through TuneIn and a third for all the tracks ever recorded by that artist you love. You can set them to your music library, podcasts, albums etc. Want to fit a lot of sound into any room? Choose the SoundTouch 10 wireless speaker. Its small enough to fit just about anywhere, with full, rich sound that belies its size. With instant, easy access to your music, its the perfect companion to fit any occasion. And it couldn't be easier to use. To stream a world of music, just install the free SoundTouch app on your device. With SoundTouch, we've put a lot of thought into taking the thinking out. You can listen whichever way you want, without worrying about which technology is best. This small wireless speaker lets you play music directly from a phone or tablet using Bluetooth, or connect the speaker to your Wi-Fi network for instant in-home listening. Experience your favourite music from your SoundTouch speaker with the SoundTouch app. SoundTouch lets you take total control of your listening experience, right from your smartphone or tablet. Browse popular music services like Spotify and Deezer, Internet radio stations through TuneIn, or your stored music library. Easily personalise presets for one-touch access to the music you love and control one or many SoundTouch speakers around your home. Only SoundTouch lets you save your favourite music with six preset buttons for instant listening, so you dont have to waste time searching for your favourites. Assign a preset for your best Spotify party playlist, another for the Internet radio station you recently discovered through TuneIn and a third for all the tracks ever recorded by that artist you love. You can set them to your music library, podcasts, albums etc. 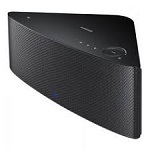 The Bose Virturally Invisiable 300 speakers adds full surround sound to your Bose SoundTouch 300 sound bar. Placing you at the heart of the action, these unobtrusive rear surround speakers add an extra dimension to your favourite films and tv shows. Simple wireless connection with the SoundTouch 300 sound bar means you will be enjoying super spacious sound straight out of the box. When it comes to rear surround speakers, the only thing you want to stand out is the sound. Standing less than ten centimetres tall, Virtually Invisible 300 wireless surround speakers are designed to blend into your room. Its simple to connect them to the SoundTouch 300 sound bar, and with a wireless range of 9 metres, they fit seamlessly into your living room. 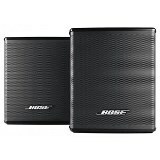 These speakers connect wirelessly to the Bose SoundTouch 300 sound bar, but still require a wired connection to mains power. 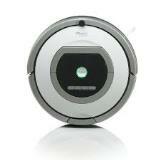 Remove dirt, debris and hair from hard floors and carpets at the touch of a button, every day. Roomba 615 features a patented 3-stage cleaning process with counter-rotating brushes and a powerful vacuum to remove dirt, dust, hair and other debris from your floors. Roomba 615 is simple to use just press CLEAN and iRobot iAdapt Responsive Navigation Technology enables Roomba to find its way around the room, ensuring every area is covered for a complete clean. As with all Roomba models, Roomba 615 has a spinning side brush to clean along wall edges, is compact enough to navigate under and around furniture, avoids stairs and other drop-offs and will automatically return to its Home Base to recharge between cleaning cycles. Cleans along wall edges using a spinning side brush for the most thorough floor coverage. A focused, thorough clean thats perfect for homes with pets, every day. Roomba 776p features a patented 3-stage cleaning process with counter-rotating brushes and a powerful vacuum to remove dirt, dust, hair and other debris from your floors while dual HEPA filters keep your homes air free from fine dust and other allergens. Roomba 776p is simple to use just press CLEAN and iRobot iAdapt Responsive Navigation Technology enables Roomba to find its way around the room, ensuring every area is covered for a complete clean. Roomba 776p is also equipped with Dirt Detect Series 2 which uses optical and acoustic sensors to focus on areas with a higher concentration of debris to ensure no debris is left behind. Roomba 776p also comes with a Virtual Wall to keep Roomba cleaning where you want it, and out of the areas you do not, as well as a Virtual Wall Halo which sets up a protective zone to guide Roomba around your pets food and water bowls, leaving their contents intact. As with all Roomba models, Roomba 776p has a spinning side brush to clean along wall edges, is compact enough to navigate under and around furniture, avoids stairs and other drop-offs and will automatically return to its Home Base to recharge between cleaning cycles. Cleans on a schedule thats convenient for you. HEPA filters trap pet dander, dust particles and other allergens. The irDAC is designed to be the heart of a digital system and can be connected to a host of different types of digital sources and connections. This includes asynchronous USB and direct iPod connection, taking the digital signal direct from an Apple device for optimal sound quality. All of the inputs can be controlled through the irDACs IR remote handset that also controls PCs, MACs and iPod / iPhone / iPad devices via the HID (Human interface device) controller. Arcam A49 integrated amplifier represents the pinnacle of Arcam audio engineering. We set out to incorporate everything we have learnt in almost 40 years to deliver an amplifier that will set new standards and provide class leading sound quality for the best possible reproduction of your music. With 45W per channel this little amp has more than enough output to power an extremely wide range of speakers, making this amplifier the perfect heart for a modern system. Just add speakers and you can begin enjoying high quality, great sounding music from all your sources. 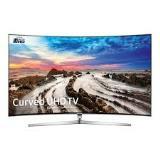 Samsung 49" NU7500 Curved Dynamic Crystal Colour Ultra HD certified HDR Smart 4K TV. Dynamic Crystal Colour. Experience crystal clear, lifelike colour. With more than one billion colours. 64 times more than conventional UHD TVs. the Dynamic Crystal Colour display delivers picture-perfect results every time. HDR 10+. The next advancement in HDR technology, HDR 10+ makes sure every scene is precisely optimised for colour, contrast, and the finest details. Ultra HD certified. Don't settle for a TV without the Ultra HD certified picture quality logo, which guarantees the pure colours, sharp contrast and brightness you would expect from the latest 4K resolution standards. UHD Dimming. Experience better shadow detail and more accurate colour with UHD Dimming technology that independently adjusts tone, brightness and sharpness. Auto Depth Enhancer. Experience another level of immersive viewing. Auto Depth Enhancer adjusts multi-layer contrast levels for more lifelike images. Samsung 49" MU9000 Curved Dynamic Crystal Colour Ultra HD certified 4K HDR 1000 Smart TV. Dynamic Crystal Colour. Experience crystal clear, life like colour. With more than one billion hues, the Dynamic Crystal Colour display delivers picture-perfect results. Ultra Black. Enjoy deeper blacks at any time of the day through significantly reduced light reflection. Supreme Motion. See stunningly clear movement with Supreme Motion for action scenes and every shot on goal. Peak Illuminator. See dazzling sunrises, striking lightning bolts and dramatically impressive scenes in amazing levels of life-like brightness through Peak Illuminator technology. One Connect. Hide the box from view, connect all your devices and inputs then control them via the One Remote Control. Smart Hub. Discover easy access to all your content and connected devices from one place through Samsung's intuitive 2017 Smart Hub. Elegant design and aesthetic compactness. Aerodynamic rounded front baffle and angled rear baffle. Extensive cross-bracing and radical angle internal floor. Available in exotic veneer or Design multicoated polyester finishes. Claw: for advanced decoupling from floor. Bi-wire-able gold plated WBT terminals. Soaring to high-vibrational heights, the Totem Hawk exemplifies total involvement with the senses. Truly full range, extremely compact and aesthetically balanced, the Hawk has incredible attributes and strengths that will bring you to the realm of sonic nirvana. The Hawk?s detailed voicing, harmonic nuances and timbre precision will simply move your soul to the core. With honesty and loyalty, the Hawk?s unique drivers deliver magic and power. 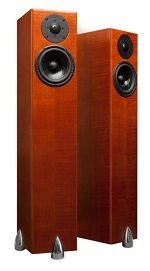 Its exquisite cabinetry is designed to seamlessly project sonic vitality. Its self-effacing holography and pure dimensional imaging produce a spatial experience that will lift and envelope you. The Totem Hawk is a soul mover of the highest caliber. Designed for high-end extreme performance. Simple to look at, the rDAC's sleek cast aluminum casework hides the very latest digital conversion using, at its core, the outstanding 8741 IC from Wolfson Microelectronics. Offering coaxial, optical or USB digital inputs the rDAC renders music with stunning accuracy and delivers a performance of thrilling musicality. The dCS technology allows a precision clock to drastically reduce the level of jitter from USB music sources and delivers a massive improvement in sound quality over the standard USB adaptive system. The design of precision clock circuits and general digital and analogue audio engineering are some of Arcam's key strengths. The results from the highly affordable rDac are stunning regardless of the digital audio source. The Samsung Multiroom app gives you a new music ecosystem that lets you set up the music network that's right for you. Simply start the app, set up your M Series speakers, and integrate your music sources. Now you're ready to play any music, in any room, anytime. You can even control multiple speakers throughout your house at the same time. Available for Android 2.3 and above and iOS6 and above. 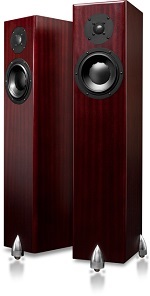 All your family and friends can play their music on your M Series Speakers system. All they need is the Multiroom app. Once their mobile devices are connected to your WiFi network, everyone can share and enjoy their music. It's great for gatherings, whether it's an intimate dinner or a big house party. Now you can listen to all your favourite tracks, from all your devices, anywhere in your home. The Samsung M Series brings all your music together in the palm of your hand. You can access your tracks wherever they're stored, which includes your smartphone, PC, tablet and more. You can also enjoy millions of songs by accessing online streaming music services such as Spotify Connect, Deezer, Napster and more. Enjoy premium sound quality. Experience crisp, clear wireless sound with the Samsung M5 Speaker. The M7 provides clear and crisp sound using five integrated speakers that are both digitally amplified to give you natural tones with stunning clarity. The NAC 202 builds on our entry-level NAC 152 XS, adding star-earthed circuit boards for superior transparency and an even lower resonance circuit layout. It provides for a wide range of expansion and upgrade options, including connection to a StageLine phonostage and an AV bypass connection to an external AV amplifier. Support for both DIN and RCA inputs to ease connection into a wider range of systems. RC5 input and Smart IR system for remote control integration of Naim products. Can be powered from the preamp inputs of the NAP 155 XS or NAP 200 power amplifier or external power supply (see Upgrade Path). It also loses none of the flexibility or functionality of its illustrious siblings. High-resolution UPnP network streaming, Spotify Connect built-in, USB/iPod playback, access to thousands of internet radio stations, DAB/FM radio, digital inputs for external sources, multiroom streaming and a bespoke iOS and Android control app will get you listening to more music than ever before. UPnP-enabled to allow streaming of audio files at up to 24bit/192kHz resolution from Naim hard disk servers, network-attached storage (NAS) devices or any home computer. Supports a broad range of music formats: WAV, FLAC, DSD (single rate), Apple Lossless, AIFF, AAC, Windows Media-formatted files, Ogg Vorbis and MP3. Gapless playback on all lossless file formats and on most compressed music. Three 24bit/192kHz capable digital inputs (S/PDIF) to support optimum connection to external sources. Spotify Connect built-in to stream millions of songs from the world?s most popular streaming service. Front-panel USB port for replay of MP3 player/iPod and USB-stored audio. vTuner 5* full-service internet radio. iOS and Android Naim app for intuitive control. Like the NDX, the ND5 XS is one of the most technically advanced and accomplished of all Naim products. The use of numerous innovative techniques for electronic signal processing and isolation ensure that each digital audio data stream is delivered to the ND5 XS outputs with maximum fidelity. The ND5 XS uses the same RAM buffer and master-clock jitter removal technique of the Naim DAC and all the oversampling, filtering and signal management techniques that have brought Naim to the forefront of digital music in the home.